The “Plan to Plan” webinar series provides orientation and training on specific 2020 Census programs and operations. Numerous state-based partners are involved, and the series will discuss the possible roles of SDCs and state networks. Our presenters include both Census Bureau program managers and state-based experts, invited to present their experience, best practices and tips for successful state involvement. The “Plan to Plan” webinar series is organized by the SDC Steering Committee, and hosted by program staff at Census Bureau. Comments, suggestions and volunteers are invited. You can contact Jennifer Shultz, Pennsylvania SDC, or any Steering Committee member. In this webinar, SDC members from three states provide updates and lessons on “standing up” their Complete Count Committees. They provided information about the Committee structures, activities, budget, and the particular SDC role. Additional webinars are being planned. This list of topics is subject to change, additions, and rescheduling. Lessons Learned from Experienced PSAP Participants. TBA, November/December 2018. Census’s Address Database Work After LUCA: What’s next? Proposed, 2019. FSCPE’s 2020 Count Review. Proposed, 2019. Building Custom Reports with APIs. Proposed, 2019. 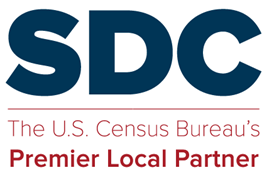 This entry was posted in Sharing, Tips and Documentation and tagged 2020 Census Geographic Programs, Census user how-to and documentation, Presentations and webinars.